Custom Super-Size Ceramic Mug features great capacity for soups, tea or coffee. 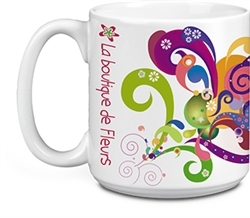 Promotional White Super-Size Mug 20oz is available in White color. Case dimensions: 19" x 13.75" x 11"